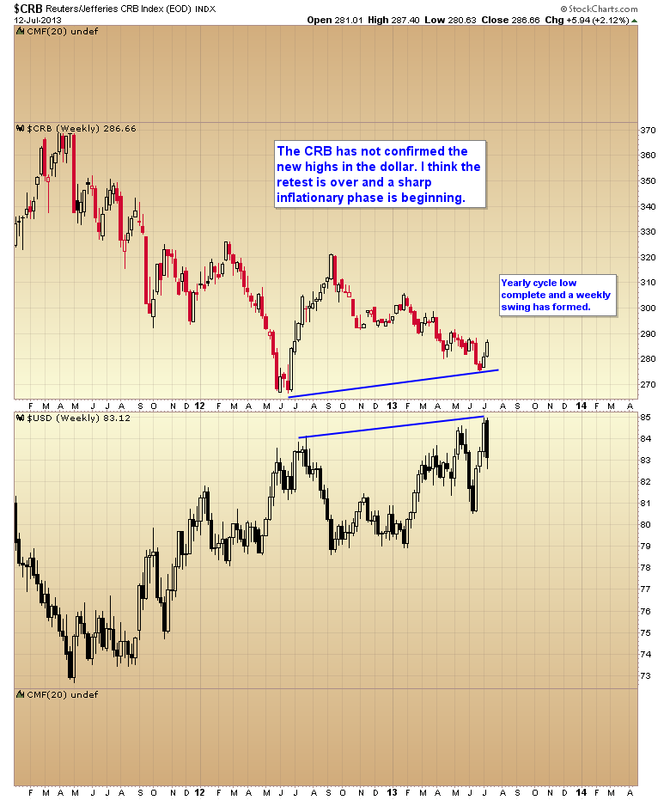 Last year I correctly spotted the three year cycle low in the CRB. I must admit the retest of that bottom has taken much longer and been far deeper than I thought it would be. However, I think the retest is over. It looks like the CRB has put in its final yearly cycle low for 2013, and that low has held above the 2012 trough. As I have noted in the chart below, we did see a positive divergence at this year's bottom as the dollar made a marginal new high but commodities failed to confirm that new high by breaking their 2012 three year cycle low. So while I think commodities are finally ready for another leg up, I believe the dollar is in the final stages of putting in its three year cycle top. 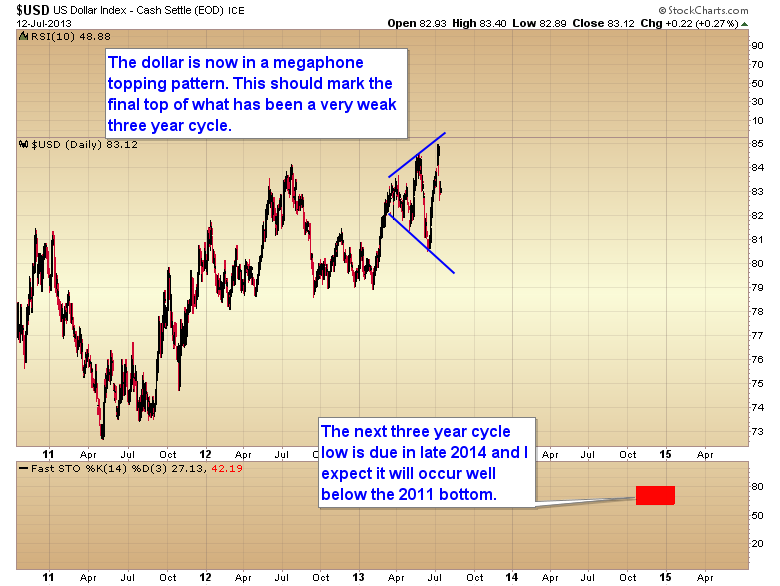 A three year cycle that has unfolded very weakly I might add. As you can see in the chart below over the last 4-1/2 months the dollar has begun to gyrate violently in a megaphone topping pattern. Let's face it, did anyone really think that Bernanke was going to get away with printing trillions of dollars and not have something bad happen to the currency? I have been saying for years now this would end in a major currency crisis.